Pizza in Santa Fe: Pizza For Christmas? Why Not? The holiday season is upon us! Do you know what you’re making for your Christmas dinner? Many traditional meals include ham or roast beef, stuffing, casseroles, potatoes, and breads, but when Thanksgiving has just passed you by, do you really want to spend another weekend cooking away in the kitchen? If your family and guests are expecting a feast, give them something unique that they will love and is easy on your kitchen and wallet. Upper Crust Pizza in Santa Fe may be the perfect decision for your holiday meal. With so many other decisions that need to be made during the holidays, give yourself a night off and choose pizza. 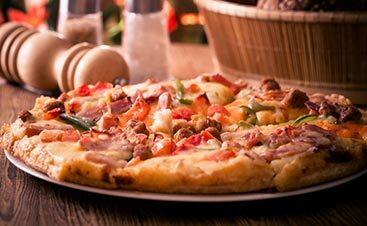 Instead of spending hours at a busy grocery store, fighting over the last ham at the butcher shop, and waiting in line to check out, the only thing a pizza dinner takes is a quick drive over to Upper Crust. Everyone can pile in the car, sing along to your favorite Christmas tunes, and we’ll bring you a steaming pie right to you. No time spent in the kitchen or anything! The options are endless with pizza, making it a great crowd-pleasing dinner. 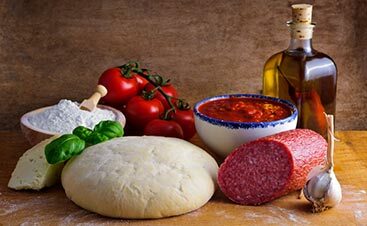 If you have family members or guests with allergies, we will be more than happy to serve up gluten-free pies, vegetarian pizzas, or if you’re allergic to vegetables, we have a fantastic Meat Treat pizza piled high with pepperoni, Canadian bacon, and spicy sausage. The right crust, the perfect sauce, and your favorite toppings, there’s something for everyone! Not feeling like heading out into the cold for your holiday meal? Pizza is a fun meal to make at home where everyone can join in to help create. This is a perfect opportunity for kids to get messy mixing the dough together and adults can help add the toppings to different pizzas. 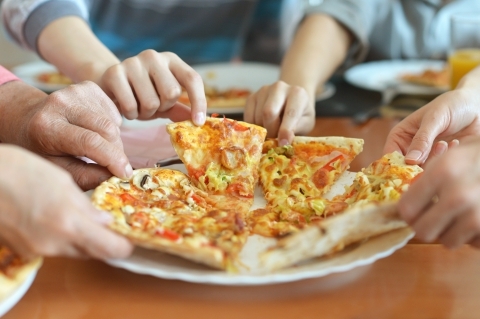 For a personalized meal, consider separating out chunks of dough and have each guest create their own pizza! Just be sure to have plenty of cheese available. 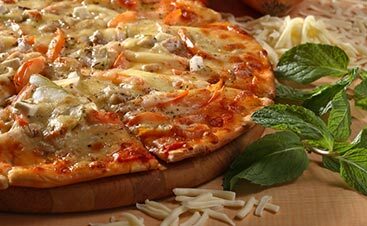 The ultimate in fast and easy, pizza delivery will surely satisfy everyone. Upper Crust has two locations in Santa Fe and Eldorado that will quickly deliver your favorite pies right to your door. The best part of this option is that you can do whatever you want while you wait! Enjoy a sing-along, watch your favorite movie, enjoy each other’s company, or play charades and work up an appetite! 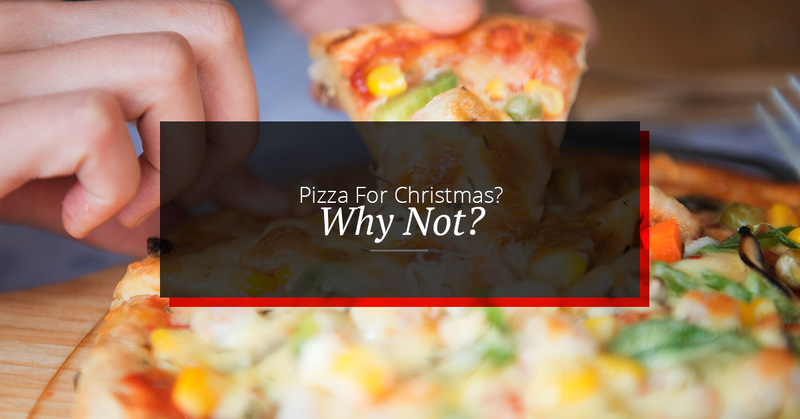 Even though it’s not the typical traditional holiday meal, there is certainly something that everyone will love when pizza is served. The casual, quick, and easy dinner allows people to grab a slice and mingle with other guests.If you come into our restaurant, you get the special experience of being served your favorite pies. Upper Crust is dedicated to providing our community with fantastic food and an environment that is welcoming and warm. When you want an easy and special holiday meal, we are more than happy to invite you into our home and deliver you pizzas that are fresh, delicious, and perfectly satisfying. Join us for your holiday meal this year in Santa Fe.